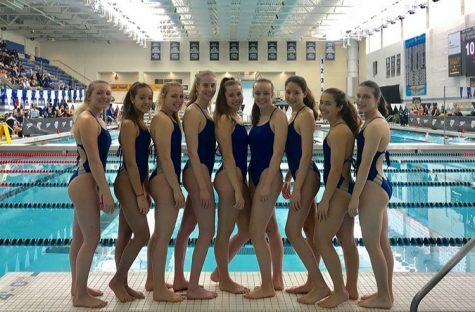 The girls Swim and Dive team remains undefeated in the conference as they defeated Grand Rapids Catholic Central Tuesday night. Despite the Cougars being their toughest competition to date, FHC won 108-78. 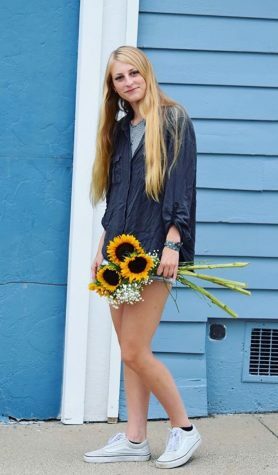 The swim team was led by senior Felicity Buchmaier and junior Jessica Schellenboom, who both took first in every event they swam in. Felicity placed first in the 100 Backstroke and 100 Butterfly, while Jessica took the 50 Freestyle and 100 Breaststroke. The two then combined their efforts, with help from freshmen Olivia Hooper and Emily Johnson, to claim first in the 200 Medley Relay. 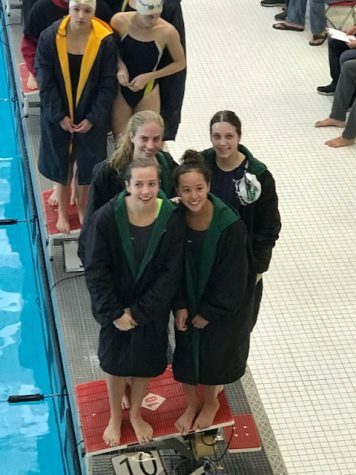 Another Ranger relay took second in the that same race, as well as three more relay teams taking first, third, and fourth in the 400 Freestyle Relay and second, third, and fifth in the 200 Freestyle Relay. Tuesday’s meet puts the team at roughly the three quarter mark on their season. Long practices and school days are combining to have an apparent effect on the entire swim and dive team. Despite not feeling their best, many swimmers still had a great showing. Olivia Hooper and Emily Johnson, in addition to their relay win, had a couple third place finishes apiece. Olivia in the 200 IM and the 100 Backstroke and Emily in the 50 and 100 Freestyles. 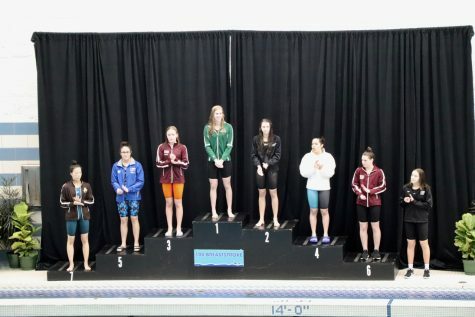 Senior Molly Weiblen then placed third in the 200 Freestyle, while junior Katie Johnson placed third in the 500 Freestyle. Sophomore Sarah Schenck earned the team some points as well, placing second in the 200 IM. Sophomore Olivia Luplow also had a successful night, taking second in the 200 and 500 Freestyles. Despite the Catholic Central swimmers being extremely talented, the divers were no match for the Rangers. 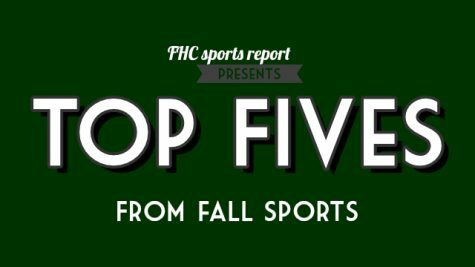 FHC swept the top three places, with the next top score from a Cougar 90 points lower than the Rangers. Senior Nicole Carlson placed third, junior Anna Hansen second, and senior Colleen Kramer first with a personal record-breaking score of 273.5. This weekend, the team heads to the MISCA meet. 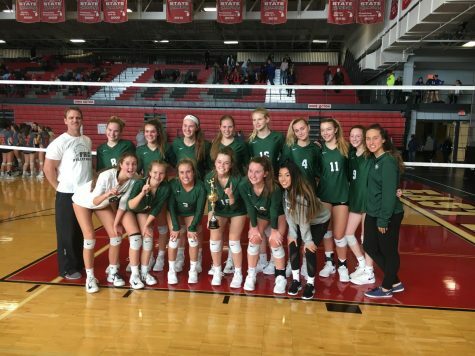 It is held at Eastern Michigan University and every school in Michigan sends swimmers and divers that have made a certain time in swimming or score in diving. 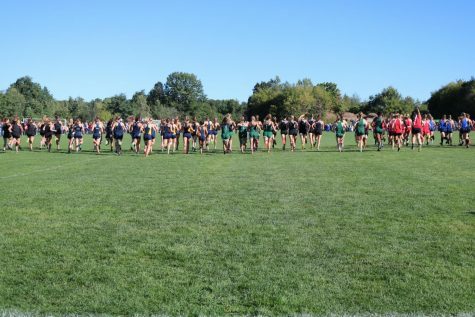 It is essentially a trial-run for the State Meet, having competition from all over the state. 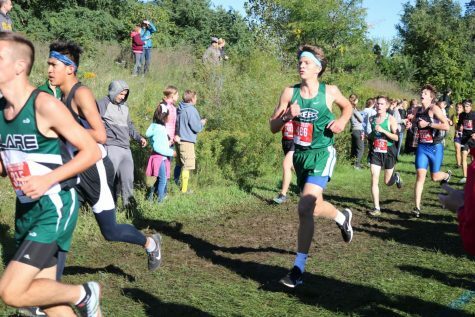 FHC hopes to have a strong showing among the talented competitors. This win over GRCC guarantees at least second place in the conference for the Rangers. 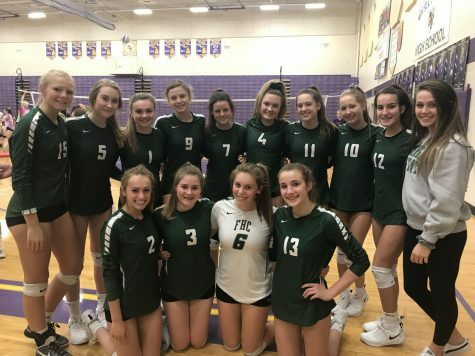 The Lady Rangers face EGR in a head-to-head meet next Tuesday at East. EGR will be the hardest competitors the Rangers have faced all season. Right now, the two schools are tied for first place in the conference. 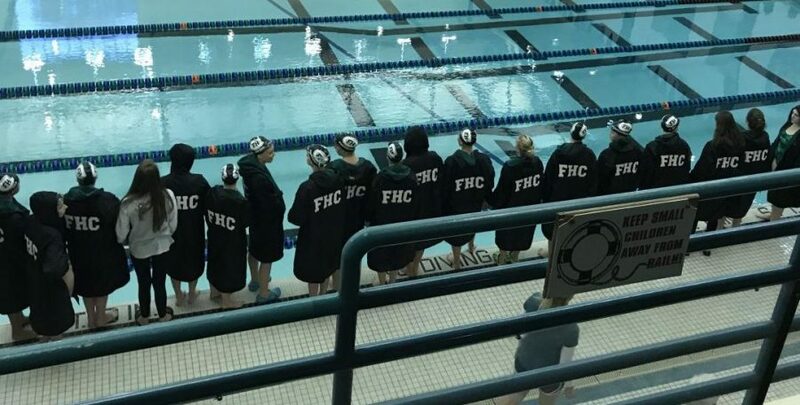 Whoever comes out on top next week will be Conference Champions, which has been a goal for the FHC Swim and Dive team since the beginning of the season. 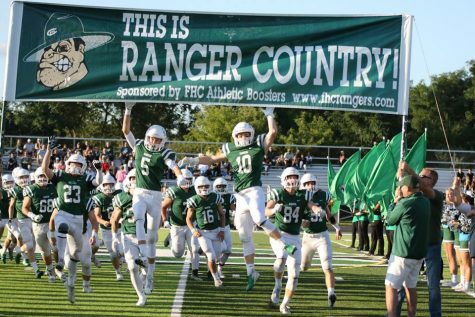 The Rangers have the heart and ability to come out victorious, but it is all about which school can execute their skills better.